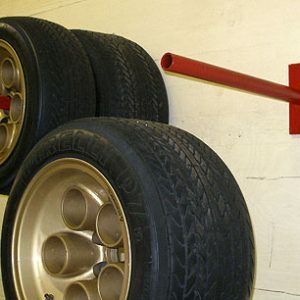 Move your car around the garage the SAFE and easy way with The Auto Dolly! These are rated at 6,000 pounds per set of 4 and feature smooth rolling ball-bearing casters for smoother surfaces. Choose the dolly width below. NOTE: PRICE IS FOR 2 DOLLIES. 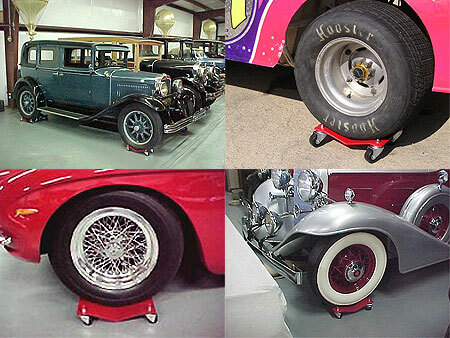 The Auto Dolly is perfect for storing your car in the garage or at a shop. These dollies are rated for 1500 pounds per dolly, so up to a 6000 lb. vehicle. 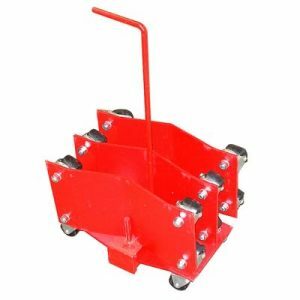 Choose from 8, 12, or 16 inch wide dollies depending on your tire width. 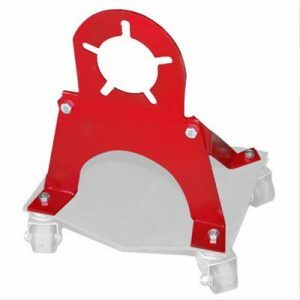 They’re made of 1/4 inch thick plate and powdercoated red for durability. For up to 10,000 pound vehicles, check out the heavy-duty Auto Dolly.